“What are you going to write about?” asked Alex. I thought about it for a second and when I responded, he looked surprised. “I don’t know, because it hasn’t happened yet”, I smiled as I melted into my seat. Lucy and I had just stopped the wrong bus in its tracks and bundled ourselves on, not so elegantly pulling our suitcase and bumping into poor unsuspecting passengers on the way to a couple of empty seats at the back. The boiling hot bus, which seemed to have rolled straight out of the 70’s, was full of subdued festival goers on the way to one of Romania’s biggest festivals, Electric Castle. And Alex? He was my new Romanian friend from Romania’s non-official second capital, Cluj-Napoca. It was the truth. I could have guessed and said that I was going to interview a few bands, or that I was there to review specific bands, but no. 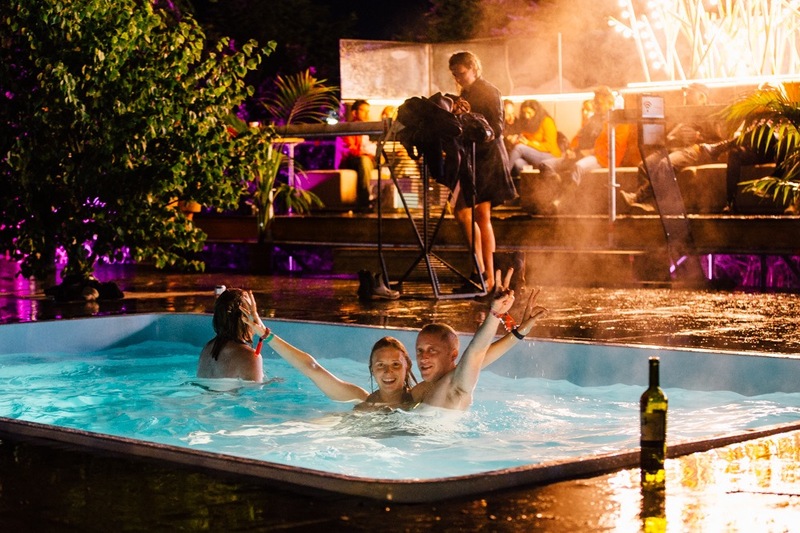 I was there to review the experience – and if my previous festival experiences are anything to go by, I knew deep down that anything could happen. And despite having not done the ‘proper’ festival experience, camping and all, for the best part of a decade (where has the time gone? ), I can’t see this being any different. 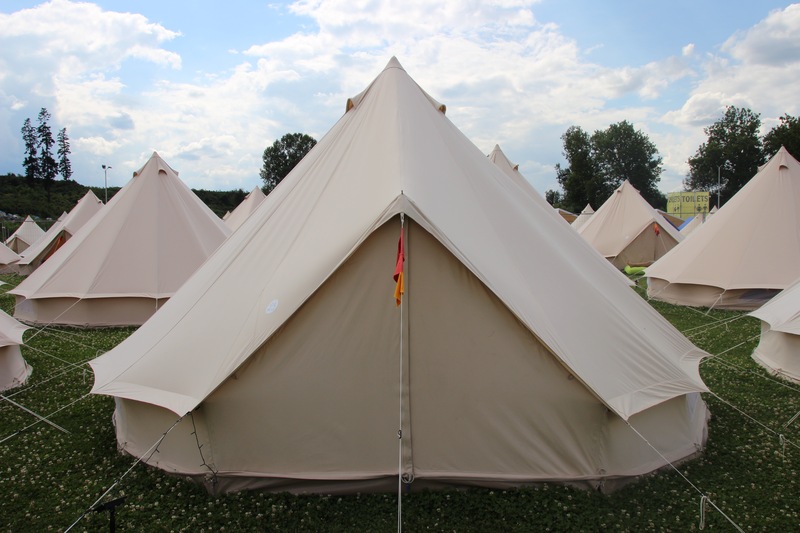 For five nights, me, Lucy and our friend Joe retreated to a camping hotel site, armed with a booking confirmation for a very comfortable bell tent, complete with blow up beds, bed sheets, a table and a bean bag. And for those five nights we sort of managed to gloss over the fact that we were camping right next to what was an almost 24 hour techno stage (the bass was earth shattering). Despite raging hangovers and non glorious sauna like temperatures firmly in place, we all felt glad that we didn’t have to trek back to a hotel in Cluj each night. I had literally no idea what to expect from Electric Castle. 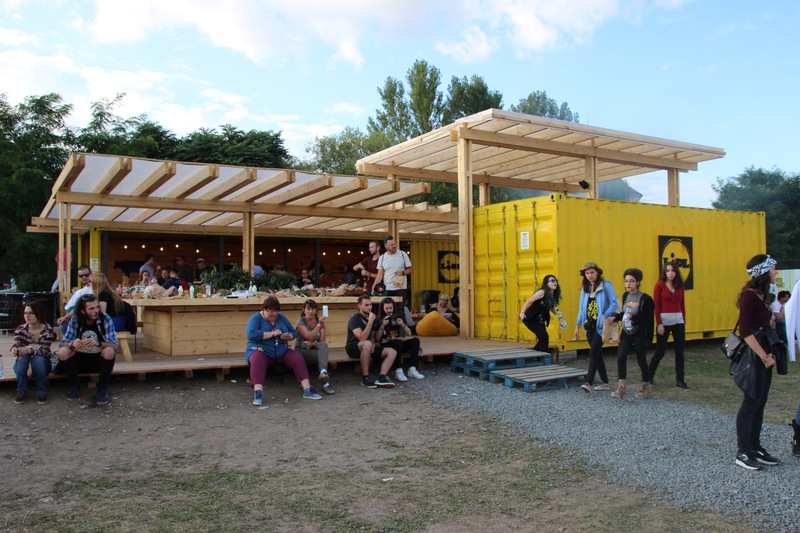 But I just hoped that it wouldn’t be similar to a festival that Lucy and I went to twelve years ago in a Belgium. 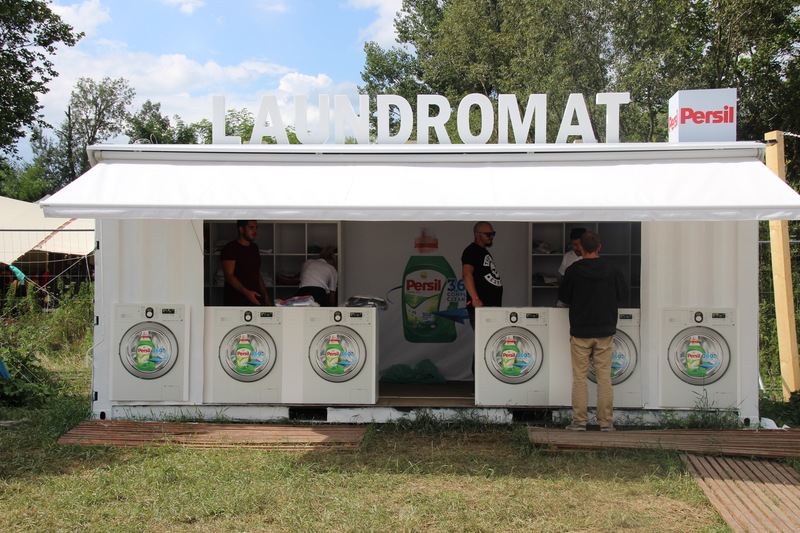 Dour festival, we thought, was enough to put us off going to a festival abroad for life, as it was the worst run event with ridiculously bad facilities. So it was like both of our birthdays and Christmas had come at once when we started mooching. 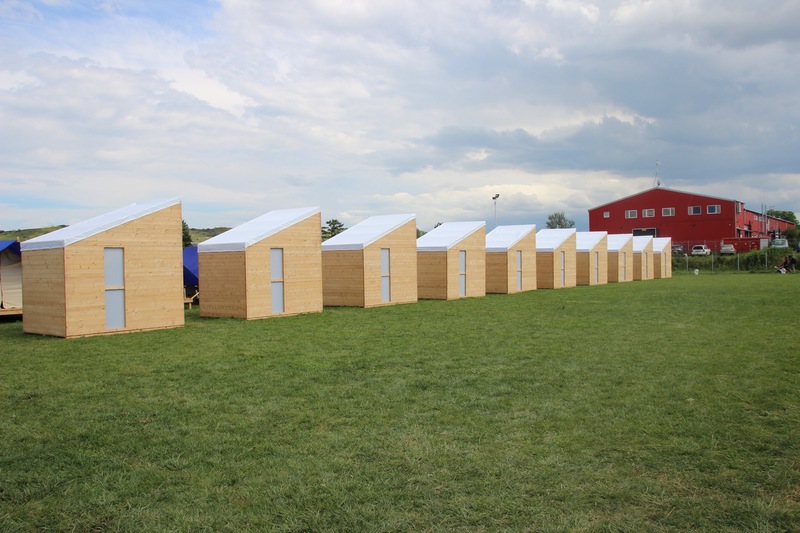 Proper showers and toilets, a (free!) 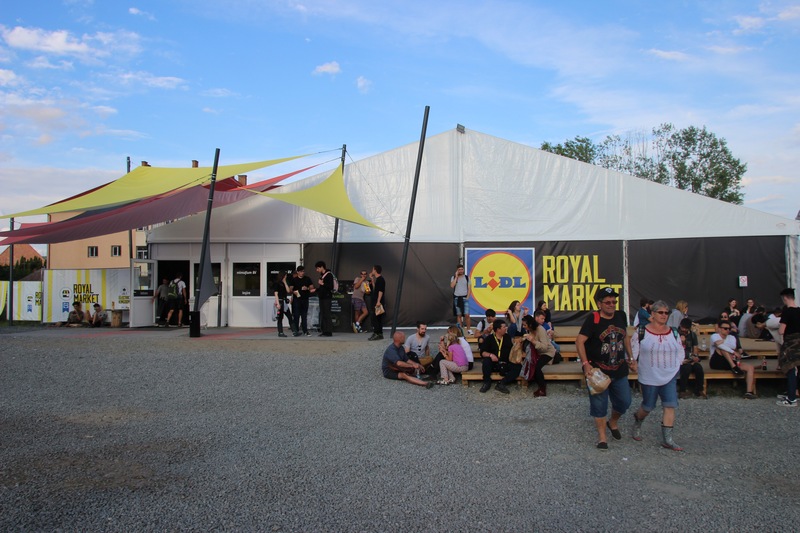 laundromat, a charging station, lockers, a fancy coffee bar and… wait for it… the best bit, a fully functioning Lidl, complete with bakery and everything you could ever wish for during a 5 day festival. The supermarket even came with a BBQ area and if you couldn’t be arsed to BBQ your own stuff, all you needed to do was buy the meat and they would cook it for you. What was EVEN better, was that it was dirt cheap. 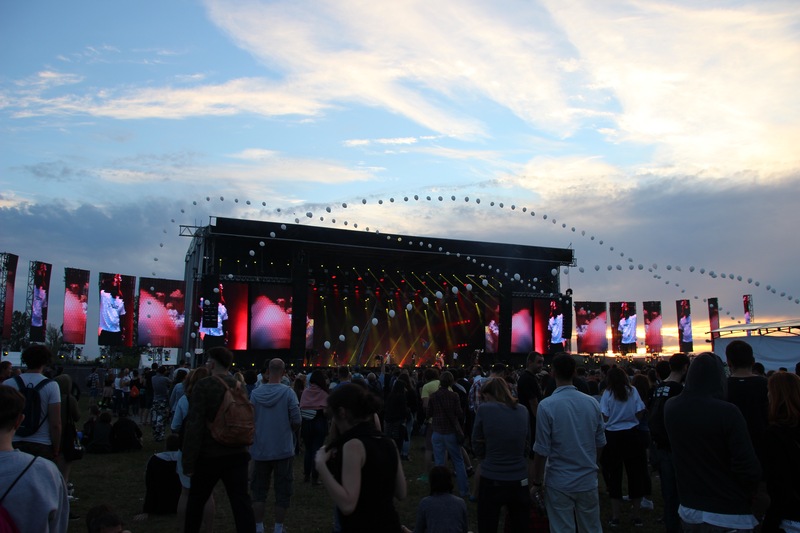 The festival site itself was a similar size to Lovebox and featured a good range of stages, some on show, others hidden in the trees and bushes, willing you to go and find them. The main stage had more screens attached to it than I could count and one of the best festival sound systems I have come across. One of my favourite areas, the Silent Disco, was situated in the trees and there wasn’t a day I didn’t retreat to it to play music channel roulette. 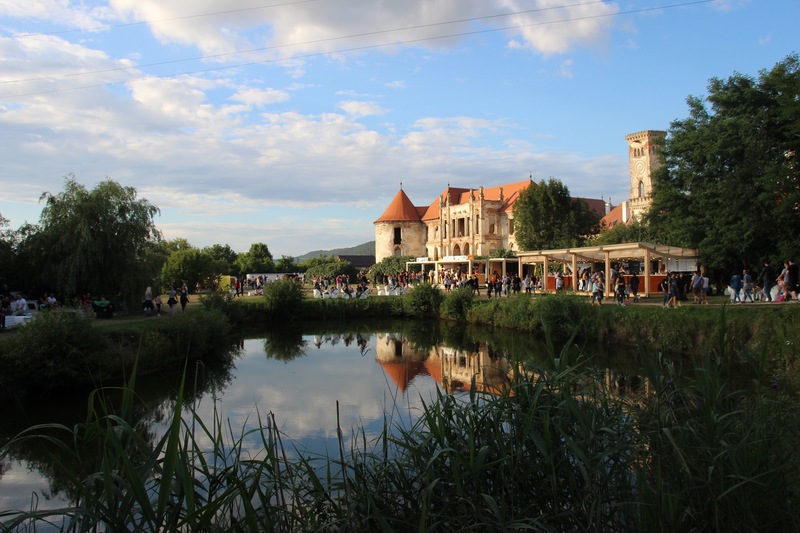 To top it all off, the festival, which incorporated music, technology, art installations and performing arts, was situated within the grounds of the beautiful semi derelict 15th century Banffy Castle. In terms of the music offering, I wouldn’t say there is something for everyone, but alternative music fans, especially techno / dance music fans, were seen to be having a field day. 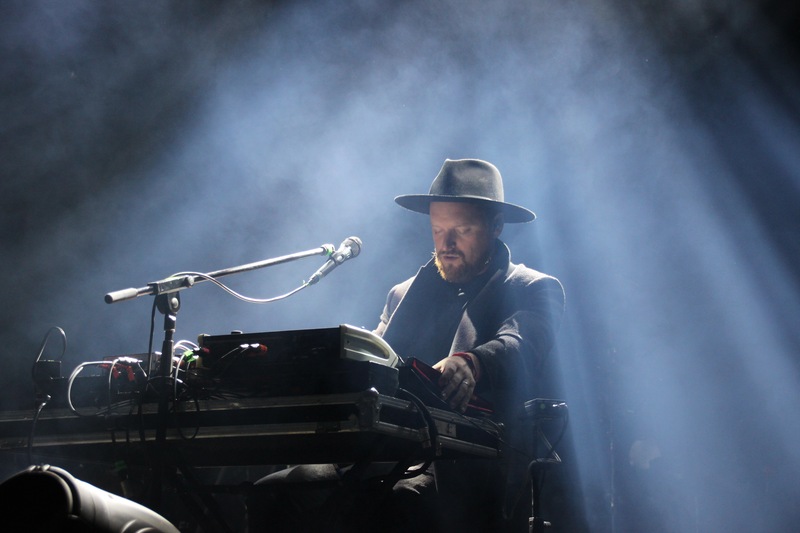 DJs Maceo Plex, Claptone and Dimension rubbed line up shoulders with bands such as Slaves, Counterfeit, Younger and Architects. And not one of the headliners disappointed on the main stage. Moderat’s light show, spine tingling electronic sounds and effortlessly cool silhouettes drew me in so much that I only caught the last song by Slaves who sadly played at the same time, while later in the night Paul Van Dyke’s light show drew me like a moth to a flame from the other side of the festival site. Alt-J, well I’m not much of a fan so their set definitely wasn’t a highlight, but I hear on good authority from fans that they played a belter. And Franz Ferdinand… well, you may have already read about that in another post. The festival, which over the course of the weekend sees 130,000 punters pass through the gates, felt comfortable every step of the way. It helped that we seemed to be incredibly lucky with the weather – apparently the last two years had been a complete wash out, but the only time I had to don a poncho that volunteers eagerly handed out for free one morning, was when I was inside at an Alt-J press conference. Yes, I did ask a question, and no, there are no plans to write a book / make a film / put on an art exhibition as a collective band. For those who wanted a little bit of extra luxury, the Mastercard VIP tent sat looking pretty on the right hand side of the main stage and featured table seating, proper cocktails, an amazing view of the main stage and a heated pool, which of course we ended up in one night, emerging from 20 minutes later with very soggy clothes. 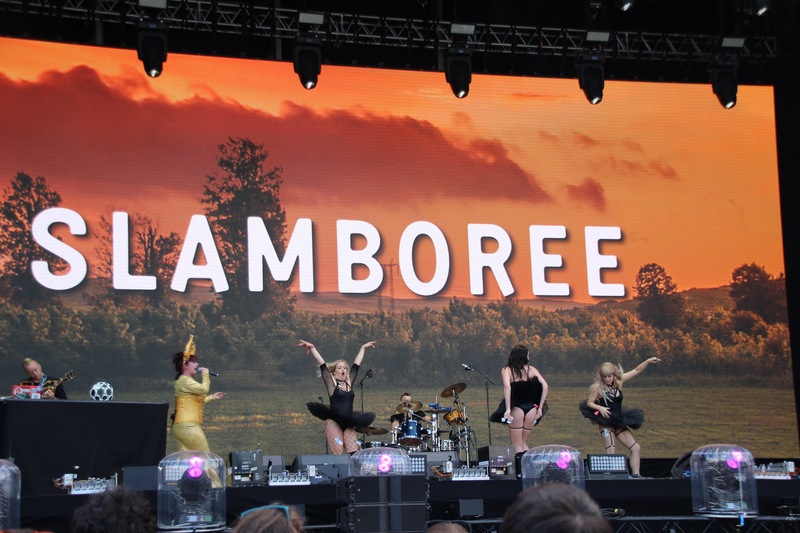 Another band that deserves a mention is Slamboree. I have been off the festival circuit for a long time, so admit I had never heard this name before. But it became very apparent who they were on our second day, as the energy exuded out of their bones to create a fun loving party atmosphere like no other, both on and off stage. If you haven’t seen them yet, I urge you to do so immediately. Also keep your eye out for a post coming soon, where I talk to the band’s originator, Mike Freear. Have I mentioned the prices yet? This festival is cheap. And when I say cheap, I mean it costs around £2 for a beer, and around £4 for a slap up feast. And if £4 is a little expensive, you can always go to Lidl and get a 20p pastry, or a 60p slice of pizza. We all know my favourite things in life are music, food, dancing, meeting new legends and hanging out with friends, so I was happy as a pig in shite. Thanks, Electric Castle. Next PostWas 24 Hours at Bestival Long Enough?